Stephen B. Yim is a sole practitioner concentrating in the areas of estate planning, wills, trusts, supplemental needs planning for families who have children with disabilities, charitable tax planning, estate and gift tax planning and estate administration. A graduate of Punahou School, Stephen received his undergraduate degree in business administration from the University of Puget Sound, his law degree (JD) from Santa Clara University and his masters of law degree in Taxation (LL.M.) from the University of Denver, Graduate Tax Program. Prior to entering the private practice of law, Stephen worked as the Senior IRS estate and gift tax attorney in Honolulu. He also served as law clerk to Judge Daniel G. Heely and as Tax Associate with the Public Accounting Firm of Coopers & Lybrand. Stephen served as an adjunct professor at the University of Hawaii William S. Richardson School of Law where he taught the estate planning course, the University of Hawaii Masters of Business Administration and Masters of Accounting Program and Hawaii Pacific University Masters of Business Administration program where he taught estate planning, and estate and gift taxation. 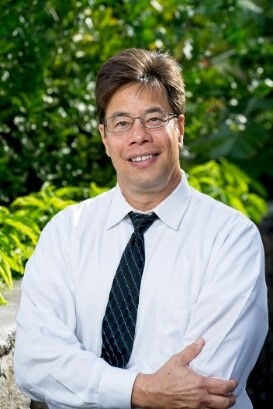 He provides presentations and articles related to estate planning and estate and gift taxation to various groups such as the Hawaii Bar Association - Estate & Gift Tax Section, Hawaii Society of Certified Public Accountants, Enrolled Agents, Hawaii Society of Public Accountants, The Maui Estate Planning Council and the Oahu Estate Planning Council. He is a member of the Hawaii State Bar Association, the estate planning probate section of the Hawaii Bar Association, the elder law section of the Hawaii Bar Association, the Academy of Special Needs Planners and the National Academy of Elder Tax Attorneys. He served as Chairman of the Estate Planning & Probate Section of the Hawaii Bar Association and Chairman of the Estate & Gift Tax Committee of the Hawaii Bar Association. Stephen has served as a board member and part president of the board of directors of Catholic Charities-Elderly Services, and currently serves as a board member of the ARC. Stephen has been selected by his peers to be included in The Best Lawyers In America for the 2010 edition and he will also appear in the October, 2010 issue of Best Lawyers in Hawaii, published by HONOLULU Magazine. Presenter, Estate Planning Presentations to the Hawaii State Bar Association, Hawaii Society of CPAs, Maui and Oahu Estate Planning Councils. Having published a booklet for his clients to use to write their personal legacy. Called My Heart Felt Will, Stephen encourages each of his clients to take the time out of their busy lives to sit quietly and contemplatively to write their own personal estate plan based legacy.